I always like to explore stuffed parathas and all other kinds of parathas since Happy prefers it more than rice. I have already posted Aloo Paratha and Broccoli Paratha. To add on to this list, I am here with another interesting and healthy recipe. I love to add Fenugreek/Vendhaya Keerai/Methi in my cooking considering its health benefits. Whenever I see a bunch of fresh methi leaves in the supermarket, I grab it and mix it with the dough while making Chapathi. After coming to Sydney, I came to know about this Methi Thepla through few North Indian cooking groups. Also, I talked to a friend/teacher Nidhi in Happy's playschool and got the recipe. 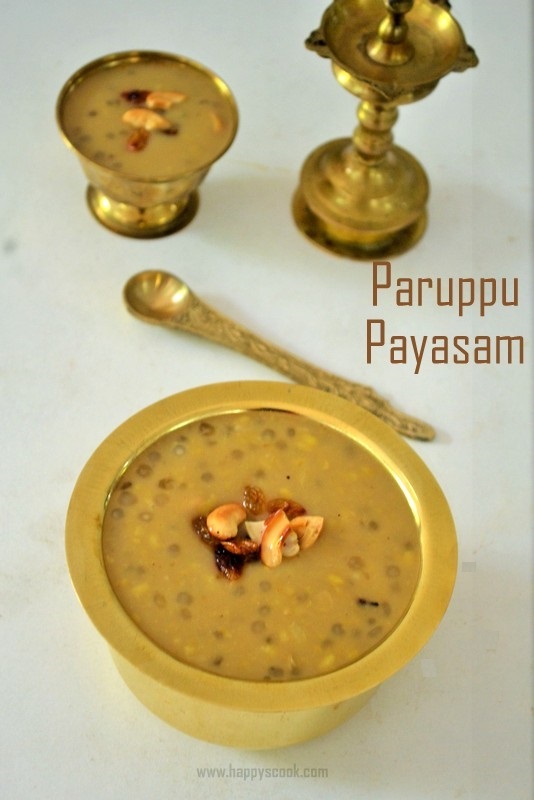 This goes well with curd and pickle, it can be packed for lunch box, picnics or train travel. Without further delay, let us move on to the recipe. 1. Remove the methi leaves from the stem, clean and chop it. In a wide mixing bowl, add the wheat flour, gram flour, chilli powder, turmeric powder, cumin powder, ajwain, cleaned methi leaves and salt. Mix it all together with your hands once, then add the curd and 1 tbsp of oil. 2. Slowly, add water and make it into a smooth non-sticky dough. Cover it with a damp cloth and keep it aside. After the resting time, make equal lemon sized balls. 3. Then roll the balls into thin theplas. Dust it with wheat flour if it is sticky. The theplas should be thinner than Chapathi's, hence roll it accordingly. 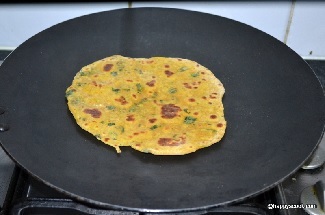 Heat a dosa tawa and cook both the sides of the thepla until golden brown spots are formed. 4. When both the side are cooked, brush or drizzle a little ghee and keep it aside. Repeat the same until all the theplas are cooked. Serve the theplas with curd and pickle(Instant Mango Pickle, Instant Lemon Pickle, Lime Pickle). I served it with Vegetable kuruma. Serve it hot. You can replace the water completely with extra curd while making the dough. Make sure the curd is not very sour. You can replace the roasted cumin powder with a little coriander powder too. You can use half and half wheat flour and gram flour too. If you don't prefer gram flour, you can skip it and make it like normal parathas. But the original Gujarati methi thepla has gram flour. You can also add finely chopped ginger for extra flavour. You can replace it with dried Methi(Kasturi Methi), if you couldn't find fresh leaves in your place.